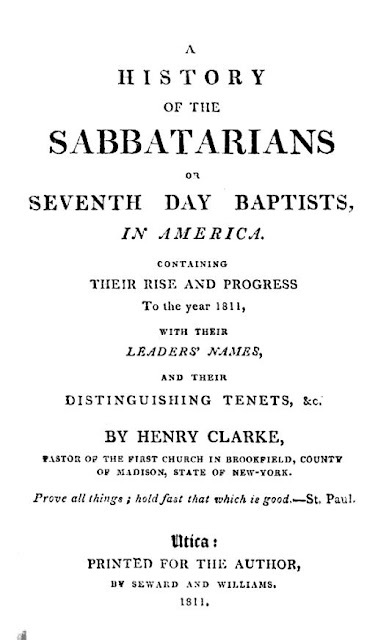 All kinds of things can be found at Google Books including books about my denomination, Seventh Day Baptists. 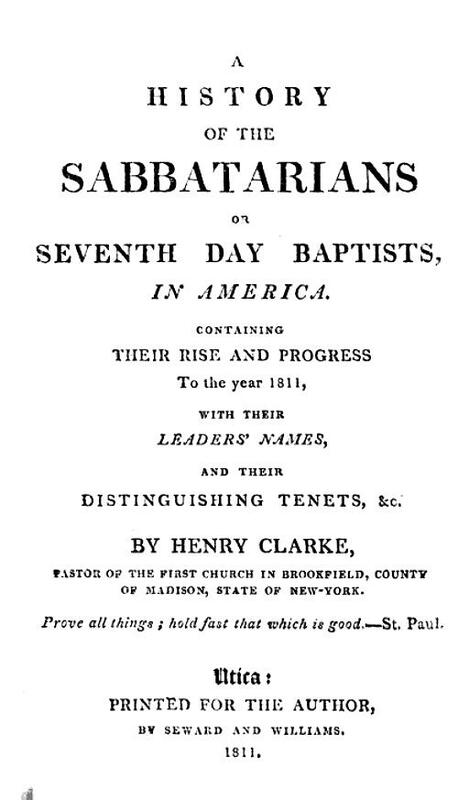 This one was authored by Henry C. Clarke and published in Utica, NY, in 1811. 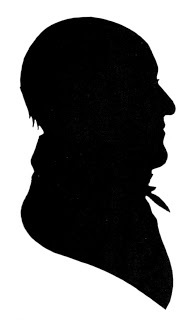 It is offered here converted to pdf.